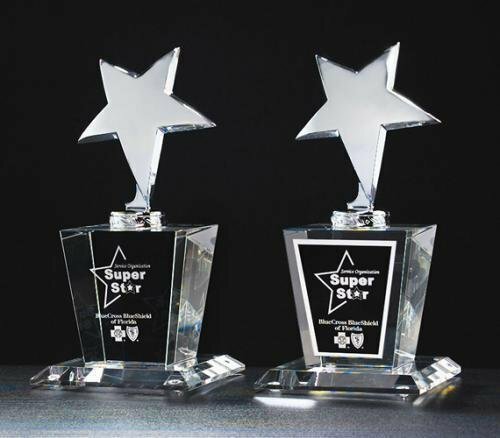 Constellation Series Chrome-plated metal star mounted on crystal base. All trophies are shipped with a laser engravable black aluminum plate (unattached). Hand polished and beveled to create the ultimate recognition awards.